Scientists study them, celebrities swoon over them, and the great British public seemingly cannot get enough of them – super berries. But what is it that makes super berries so special and which ones should form an essential component of your five-a-day? Super berries are a unique, plant-based sub category of superfood that ranges from the ordinary to the positively exotic. But what all super berries, from home grown blueberries to wild Amazonian camu camu berries, have in common, is that they are high in antioxidants (which help to protect your body’s cells from damage caused by free radicals), vitamins and other valuable nutrients, and have been consistently linked to a number of important health benefits. Arguably the finest anti-aging superfoods on the planet, super berries are also renowned for their impressive ability to boost immunity and reduce the risk of many lifestyle diseases, such as heart disease, type 2 diabetes and certain types of cancer. 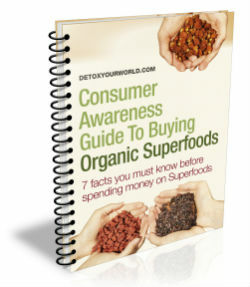 Ready to discover seven super charged super berries that will rapidly become an indispensible part of your five-a-day? This top seven list of super berries will help you to decide which of these yummy superfruits to place in your shopping trolley. Acai berries are small, deep purple super berries that hail from the heart of the Amazon. They boast the sublime flavour combination of blackberry and raspberry, with just a hint of red wine and chocolate, and are literally overflowing with precious nutrients. High in fibre and rich in both vitamin A and iron, they’re also loaded with anthocyanins – the natural plant pigment that’s responsible for both their colour and powerful antioxidant effect. Acai berries are particularly sought-after for their unrivalled fat-burning properties and are available for purchase in a handy powder form. Ask a friend or colleague to name a superfood and they’ll likely mention blueberries. Yet, these reassuringly familiar super berries mustn’t be overlooked in favour of their more foreign-sounding cousins. Indeed, blueberries are high in fibre, positively teeming with antioxidants (especially anthocyanins) and are rich in both potassium and vitamin C. And, these anti-aging super berries are believed to help reduce memory decline, as well as your risk of heart disease and cancer. In fact, a 2012 study of 93,000 women found that those who consumed three or more portions of blueberries and strawberries per week had a 32% lower risk of a heart attack compared with those who ate berries just once a month or less. Camu camu berries are tropical, cherry-sized super berries that grow wild in the Amazon rainforest. They possess a wonderfully fruity, slightly tangy flavour and, in addition to B vitamins, calcium, phosphorus, iron, amino acids, antioxidants and bioflavonoids, contain up to 50 times more vitamin C than oranges. Traditionally used to combat colds and flu, antiviral, antibacterial, anti-inflammatory and antiseptic camu camu berries are also thought to aid digestion, improve vision, enhance mental clarity and concentration, boost immunity and increase fertility. Like Acai berries, camu camu berries are typically available in a concentrated powder form. There are countless reasons why these vivid red super berries, also known as moss berries, should not only be reserved for Christmas! Cranberries, which are commonly available in a dried, sweetened form, contain a wealth of beneficial nutrients, including fibre, vitamins C & E, the minerals calcium, iron, magnesium, phosphorous, potassium, sodium and zinc, phenolic acid, flavonoids, anthocyanins and proanthocyanidins. Routinely harnessed as an effective treatment for urinary tract infections, scientists are also researching their positive effect on heart disease, yeast infections and their potential to protect against cancer, stroke and viruses. Publicly endorsed by UK celebrities, such as Kate Moss and Sir Mick Jagger, these vibrant red ‘super berries of the moment’ are native to the Himalayas and cultivated along the fertile floodplains of the Yellow River. Goji berries are particularly noted for their intense flavour, that’s often likened to a cross between cranberries and cherries, and their extraordinary levels of antioxidants, including resveratrol (the natural substance that’s found in red grapes and linked to longevity). They also contain generous amounts of iron, vitamin B and C, beta-carotene (they possess more of this red/orange pigment than carrots) and amino acids. Used in traditional Chinese medicine for centuries, goji berries are considered an adaptogen (which means that they help to manage your body’s hormonal response to stress) and are famed for their ability to strengthen immunity, lower cholesterol levels, prevent premature aging and reduce your risk of both cancer and heart disease. 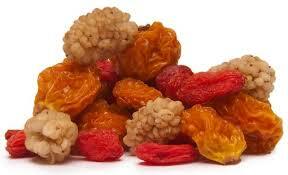 Incan berries, also known as ‘Golden Berries’, are another Amazon success story. These small, yellow, sweet and sour flavoured super berries are packed with crunchy seeds and contain an abundance of valuable nutrients, including protein, vitamins A, B1, B2, B6, B12 and C, phosphorus, pectin, bioflavonoids, withanolides (naturally occurring chemical compounds that exhibit anticancer activity) and melatonin (the hormone that controls your sleep cycle). Incan berries are believed to aid muscle growth and recovery, optimise nutrient absorption, regulate blood sugar levels, and strengthen immunity and, like goji berries, are a powerful adaptogen that’s highly efficient at relieving stress. Mulberries thrive in warm, subtropical regions of Africa, Asia and North America – they are irresistibly sweet, wonderfully chewy and crammed with wholesome ingredients, including protein, fibre, vitamins A, C, E and K, minerals, such as iron and calcium, and antioxidants, including resveratrol and anthocyanins. Businesswoman, fashion designer, model and singer, Victoria Beckham, is a self confessed fan of these super berries that help to keep your heart and blood vessels healthy, strengthen immunity, lower blood sugar levels, improve your vision, and prevent the more unwelcome signs of aging, such as dry, damaged or wrinkled skin and thin, greying hair. I also have a website that I post weekly too regarding super foods and just wanted to say that your website has been a big inspiration in the creation of my articles. Thanks.